"This partnership represents an opportunity for MCAP to further support our growing client base," said Paul Bruce, managing director, single family origination at MCAP. "The addition of Canada Guaranty to MCAP's mortgage insurance partners reinforces our desire to realize the benefits of increased competition and our commitment to highlighting the important role private mortgage insurers represent to our industry." 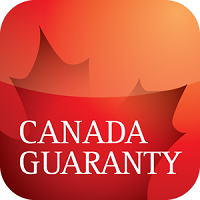 Canada Guaranty is Canada’s only wholly-owned private mortgage default insurer and, for its part, the company says it is excited to add MCAP to its list of lenders. "MCAP has a very long track record of success in the mortgage industry and we are delighted to welcome MCAP to our growing list of national lenders," said Andy Charles, president and CEO of Canada Guaranty. “Both Canada Guaranty and MCAP are committed to ensuring Canadians continue to benefit from greater access to solutions that meet their diverse homeownership needs,” the announcement said. MCAP is not offering all CG programs, like the Low Doc program.